Dr. Steven R. Baker is proud to be a partner at Habitat Veterinary Hospital. His interest in strengthening the human-animal bond through stellar care of animals and the humans who love them is a perfect fit for this growing practice. Dr. Baker attended the University of Montana, the University of Maine, and Colorado State University where he earned his doctorate in 1995. His practice as a mixed animal relief veterinarian has taken him from doing C-sections in Wyoming snowstorms to sheep milking parlors in the Basque Country of northern Spain. He enjoyed a concurrent career as a smokejumper in Washington, Alaska and Boise, but finally hung up his parachute after 18 years to turn to veterinary medicine full time. Dr. Baker understands the special connection between pets and their people. His goal as a veterinarian is to use preventative medicine, wellness programs and surgery to make that happy bond last a lifetime. 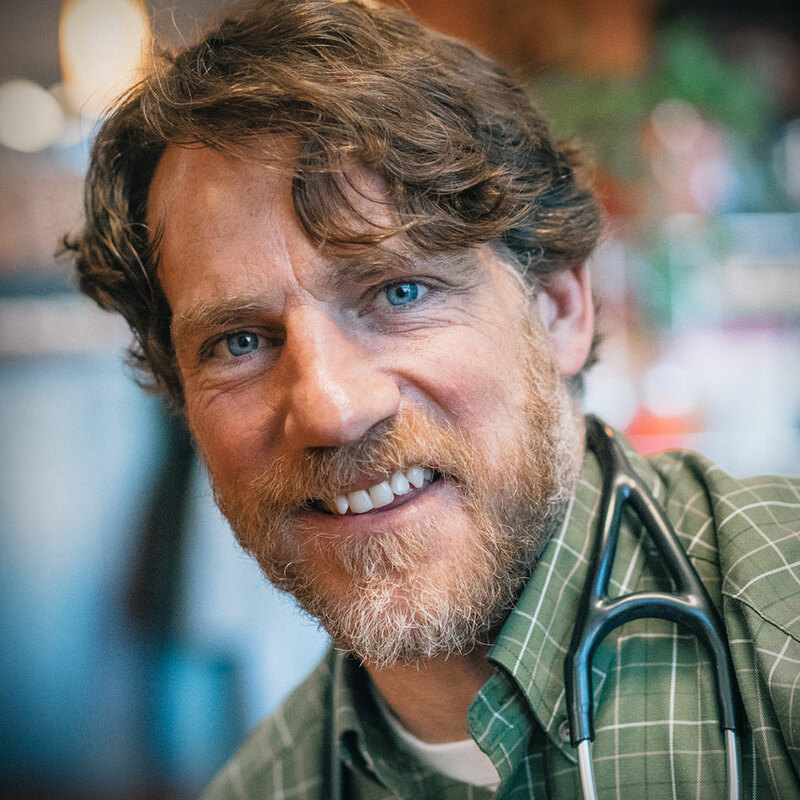 In his spare time, Dr. Baker can be found surfing, kiteboarding, mountain biking, canoeing, or wandering by the river with his guitar and his faithful pudelpointer “Wilson.” Although he plays banjo and sings Irish music in the “Fightin’ McGintys,” it’s likely that he will need to keep his day job as a veterinarian. He and his wife Mary Ann have a sweet and busy little girl, Michael Caroline, who is deciding between a career as a veterinarian and a princess.